what can I add? nothing.. Thanks to Garry Tanner for this fine explanation. Some fascinating stuff on the web about Bernard Madoff and his Ponzi scheme. 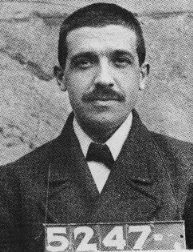 Named after an Italian Immigrant to the States, Carlo Ponzi (pictured above) Madoff conned a lot of people by promising great returns on investments, which were actually paid out by new money coming in to his scheme, and not out of any real business. There are two great articles from the Torygraph here and here. The whole plan explained by the wiki on Ponzi Schemes. It seems that there is never a short supply of ignorant investors keen to get rich quick. His victims sadly have included charities, the very rich, and even banks (dry the starting tear). 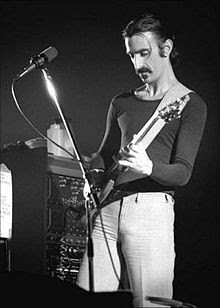 Who else would have named his offspring Moon Unit, Dweezil, Ahmet Emuukha Rodan and Diva Thin Muffin Pigeen.